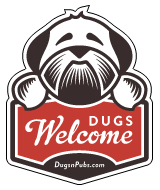 Dog friendly cafe serving tasty well presented breakfasts, and a tempting burger menu. Dog friendly seating in the ground floor area – order food at the counter in the main cafe area upstairs. There are also some lovely dog walks that are directly accessible from the Hub. There are a total of 3 dog friendly listings in the Lewis and Harris category. Please log in, or sign up as a member to view all listings.